Is Hypoglycemia Causing Your Migraines? Your body runs on glucose. You break down the carbohydrates you eat into glucose for your cells to use for energy. You can probably guess what happens when there is not enough glucose in your system. When hypoglycemia (low blood sugar) occurs, the body has several ways to tell you it needs more fuel, not all of them pleasant. For some unfortunate people, the low-on-gas message is received as a migraine. 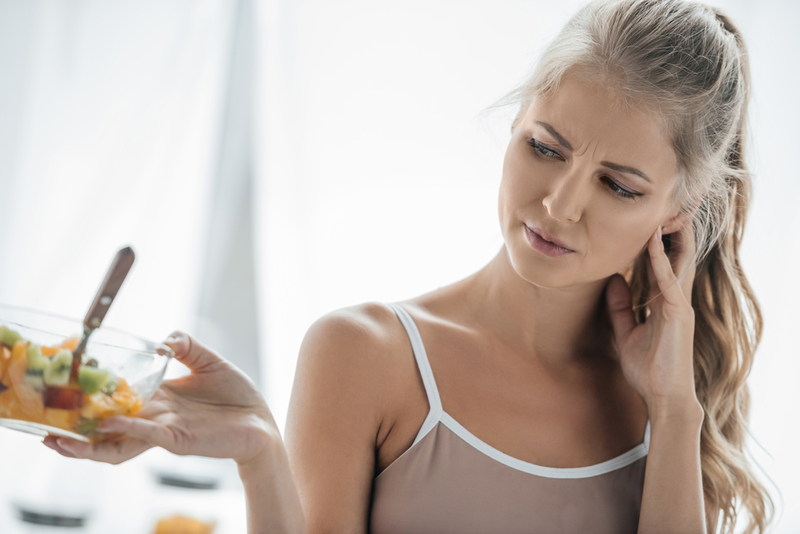 We are here to tell you more about hypoglycemia, its connection to migraines, and how you can treat and prevent these problems now and in the future. Carbohydrates are found in most foods except for meat. Bread, crackers, pasta, potatoes, fruits, vegetables, and grains all contain some form of carbohydrate in various amounts. Whole grains provide complex carbohydrates, which break down into glucose slower than the simple carbohydrates provided by fruits, table sugar, sugary drinks, and non-whole grain pasta and bread. When you consume these foods, your body digests them and converts the carbohydrate to glucose, which is easier for your cells to use. The glucose is carried in your blood throughout the body, supplying its energy needs. Your brain, in particular, needs a constant supply of glucose to function properly. If your glucose level drops, the brain is one of the first organs affected. Hypoglycemia occurs when your blood glucose level drops below 70 mg/dl. Normally, your body maintains blood glucose levels with two key hormones: insulin and glucagon. Insulin reduces high glucose levels, and glucagon raises them when they get too low. Diabetes occurs when insulin is no longer produced, or the cells become resistant to it, which keeps glucose from entering the cells and creates conditions for high blood sugar. Chronic hypoglycemia can be an early symptom of pre-diabetes, and diabetics on insulin and certain medications can easily become hypoglycemic. Anorexia nervosa and chronic liver problems create hypoglycemic conditions. For most of us, hypoglycemia is caused by poor eating habits. We skip meals because we’re busy. We fast or rigorously diet to lose weight. Then we ask our bodies to exercise on a low fuel tank. Eating a high-sugar meal can actually cause reactive hypoglycemia. Your body responds to the sudden influx of glucose by over-producing insulin. The excess insulin pushes glucose into your cells too quickly, causing the level of glucose in the blood to fall. As mentioned above, the brain is one of the first organs to be affected by hypoglycemia. 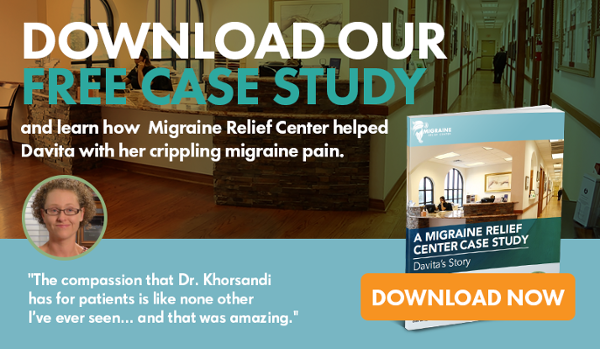 Therefore, it’s no surprise that migraines can be caused by low blood glucose. Many symptoms are related to the brain including confusion, sweating, nausea, faintness, headaches, and hypothermia (abnormally decreased body temperature). If you begin to feel shaky, dizzy, irritable, weak, or hungry, it’s possible you are suffering from hypoglycemia. If blood glucose levels remain low, you can experience numbness, poor coordination, poor concentration, or coma. If prolonged, hypoglycemia can result in death, although this is a rare consequence. Since hypoglycemia affects the brain first, most symptoms begin there. For those prone to them, migraines are often the result of fasting, eating high-sugar foods, or skipping meals. Sometimes delayed or irregular meals can create the conditions for a migraine to occur. In fact, several of the symptoms of hypoglycemia are also harbingers of an approaching migraine: pallor, yawning, sweating, craving sweets, and mood changes (often irritability). However, other hormones may be released due to the stress of fasting, dehydration, or lack of sleep that are indirect causes of migraines or headaches. Strangely enough, migraines caused by hypoglycemia may not be accompanied by other typical migraine symptoms like nausea, vomiting, or sensitivity to light or sound. Testing for hypoglycemia is pretty much the same as for diagnosing diabetes (hyperglycemia). A prolonged glucose tolerance test - The patient fasts overnight and consumes a bottle of glucose solution with a predetermined amount of glucose. Every hour a blood sample is tested for glucose. If the level falls too quickly or too far, hypoglycemia may be diagnosed. A glucose challenge - A shortened form of the tolerance test is performed. If you are feeling unwell, testing your blood glucose may point to low blood sugar. Ask your physician if one of these tests could benefit your diagnosis. As with diabetics, if you are diagnosed with hypoglycemia, you should obtain a glucose monitor and carry it with you along with a snack at all times. If you feel the symptoms of a migraine begin, check your blood sugar. If it is below 70 mg/dl, you need to increase your glucose levels quickly. Eat 15 grams of fast-acting carbohydrates, such as hard candy, honey, syrup, fruit juice, or sugar. Take an over-the-counter glucose gel or tablet. Check the amount of carbohydrate in each tablet to know how many to take to reach 15 grams. Eat a snack of protein and carbohydrate like peanut butter or cheese and crackers. If the migraine does not recede or your blood sugar fails to rise, call your doctor and get a ride to the hospital. Do not drive during a hypoglycemic episode; your faculties are impaired, and you could pass out. If no one is there to drive, call 911. If you live with someone with hypoglycemia, do not try to feed him or her carbohydrates if they have lost consciousness, they could choke. Prepare an action plan with your friend or loved one before the first attack, so you know how to help. It seems self-evident, but the best way to prevent hypoglycemia and the attendant migraine is to eat regular, healthy meals. If you are diabetic, follow your dietary and medical management plan established by your physician and nutritionist. Avoid hidden sugars in packaged foods. Read the label. Train your brain to stop craving sugar by eating complex carbohydrates that are found in fruits, vegetables, and whole grains. Eat more vegetables and fruit than pasta, bread, or chips. Smaller, more frequent meals can help keep glucose levels steady throughout the day. At any rate, do not go more than three hours without eating while you are awake. Make sure to consume a diet balanced in protein, fats, carbohydrates, and fiber. Limit sugary foods and alcohol, especially if your stomach is empty. Get plenty of exercise, too. Physical exertion helps your body use glucose more efficiently and effectively. Hypoglycemia has been found to be a cause of migraines in those susceptible to the condition. It can be caused by irregular eating habits or by ingesting too much sugar. If a migraine occurs, it may be treatable by increasing your blood glucose. Prevent migraines by eating a regular, healthy diet. If you are concerned you suffer from hypoglycemia or diabetes, consult your primary care physician immediately for a diagnosis and proper treatment.